This year the endangered Kemp’s ridley sea turtle nests on the beaches of South Padre Island have broken all of the previous years’ numbers. SOUTH PADRE ISLAND — Sea turtle hatchlings were released yesterday and inched their way into the water for the very first time. A mother Kemp’s ridley sea turtle left the nest of hatchlings nearly two months earlier on the Island’s sandy beach. But the Sea Turtle Inc. team of turtle protectors was there to ensure the survival of the nest in an effort to continue what the Turtle Lady started a long time ago. 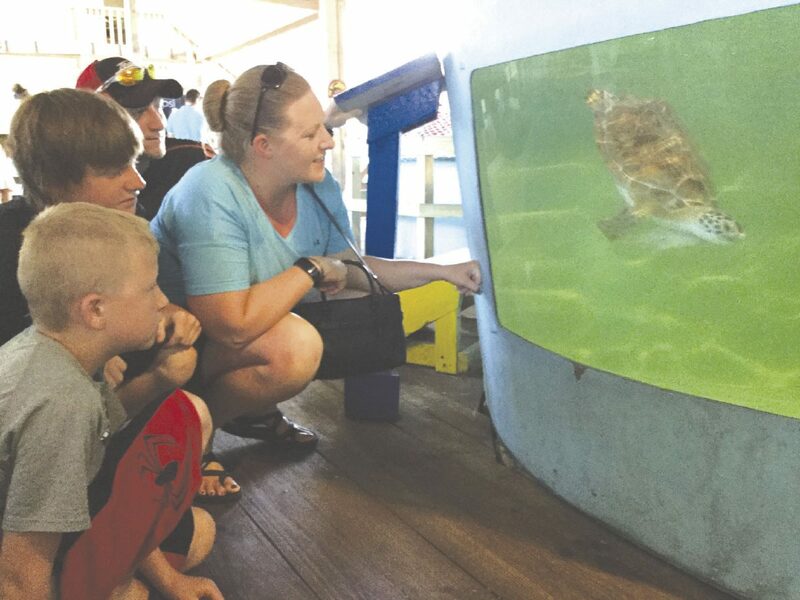 This year the endangered Kemp’s ridley sea turtle nests on the beaches of South Padre Island have broken all of the previous years’ numbers.Raul Garcia/Valley Morning StarSummer vacationers at Sea Turtle Inc. check out the sea turtles swimming in their tanks. From left to right are Wyatt, Austin, Brad and Carrie Thomson from Gillette, Wyoming. Summer vacationers at Sea Turtle Inc. check out the sea turtles swimming in their tanks. From left to right are Wyatt, Austin, Brad and Carrie Thomson from Gillette, Wyoming. The late Ila Fox Loetscher, better known as “The Turtle Lady of South Padre Island,” founded Sea Turtle Inc. in 1977 to aid and protect the endangered Kemp’s ridley sea turtle. 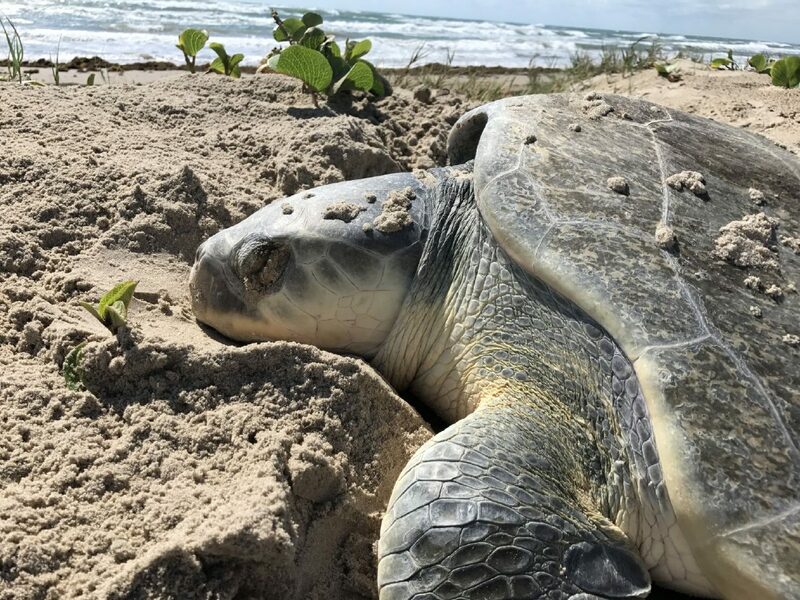 This year has been record-breaking for sea turtles nesting on South Padre Island and Boca Chica Beach, according to Sea Turtle Inc.
Now at the height of the Kemp’s ridley sea turtle nesting season, Sea Turtle Inc. has already saved 88 nests this year. Almost daily, the beach patrol team has been out helping mother turtles back into the Gulf and relocating their nests for protection. Sea turtles swim thousands of miles and only come out of the water to nest or if they are injured. The very first nesting activity Sea Turtle Inc. reported this year was in March. Sea turtle nesting season normally runs April to mid-June. And the nests normally take 45 to 50 days to hatch. The March nest hatched recently with a 99 percent hatchling success, according to the Sea Turtle Inc website. Another record was set this year as the number of nests found on Boca Chica Beach rose to 21, almost doubling the 2008 record of 12 nests. To date, a total of 87 of the nests found were Kemp’s ridley. One was a Loggerhead sea turtle nest. In total, 8,387 eggs have already been corralled. “It’s been real exciting,” Lilie said. 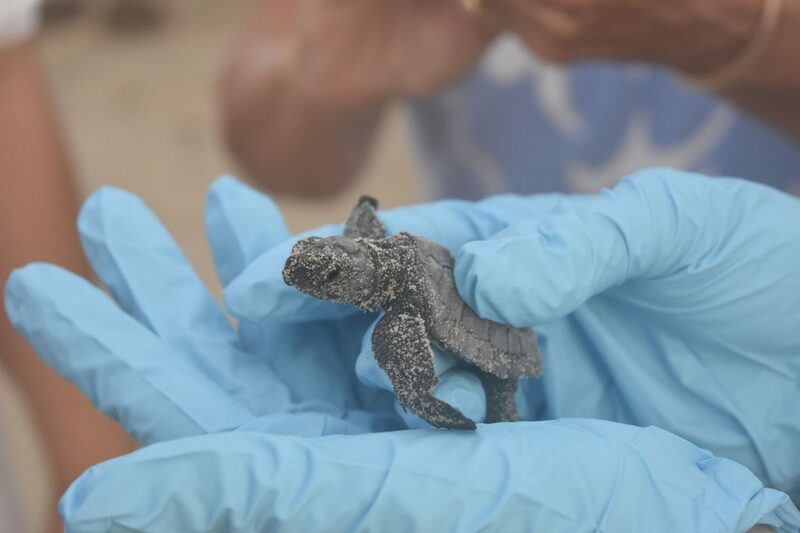 Last year, 72 nests were saved and the hatchlings were released back into the water. “We patrol everything from the Mansfield Cut to Boca Chica Beach,” Lilie said. But even though Sea Turtle Inc. patrols the beaches daily looking for nests and injured turtles, they do ask the public to report sea turtles and nests on the beach. Some of the dangers of the nests that are left behind by the mother sea turtle are the high tide, predators and drivers on the beach. The Kemp’s ridley only nests in South Texas and Mexico. Lilie said it is important to watch for the turtles on the beach. Wyoming resident Wyatt Thomson and his family stopped by Sea Turtle Inc. headquarters while visiting the Island recently. The Thomsons sat through one of the organization’s presentations about sea turtles and their conservation efforts. Sea Turtle Inc.’s mission is to rescue, rehabilitate and release injured sea turtles, educate the public and assist with conservation efforts for all marine turtle species. The Thomsons said they learned a lot about the turtles. “I think Sea Turtle Inc. is pretty cool, and it’s great to have them so the turtles don’t go extinct,” Wyatt said. A look at the number of sea turtle nests, hatchling releases over the years by Sea Turtle Inc.